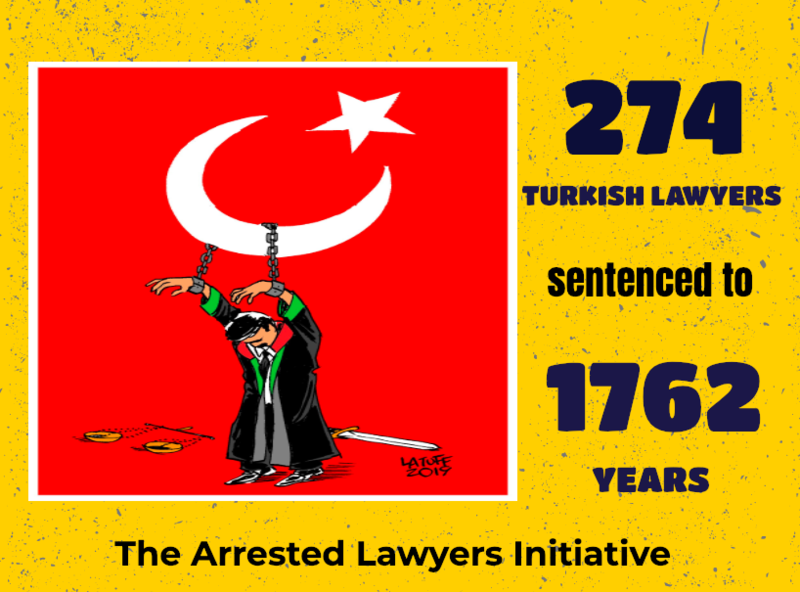 As of 25th September 2017, 538 lawyers have been arrested (since 15th July 2016) and 1385 lawyers are under prosecution. Some of the arrested lawyers were subjected torture and ill-treatment. Detention warrant issued for 33 lawyers who are the members of Izmir Bar Association on Friday (22 September); 24 lawyers were taken into custody and police operation goes on for the remaining 9 lawyers. 24 lawyers are still under police custody. 5 lawyers were taken into custody on the 21st September within scope of investigation being conducted by Tokat Prosecutorial Office. One of detained 5 lawyers (we don’t others’ name yet) is lawyer TNK who has a 11-months old baby. TNK’s husband lawyer MK is under arrest since April of 2017 too.